Social housing is becoming increasingly important in Wales at a time of rising demand for affordable housing and constrained resources. Councils and Housing Associations in Wales face significant challenges and opportunities. The Welsh Government has reduced the Affordable Housing Programme, reformed regulation, introduced a new rents policy that requires service charges to be un-pooled and introduced self-financed Housing Revenue Accounts in 2015. The ‘Abolition of the Right to Buy and Associated Rights (Wales) Bill’ is currently before the Welsh Assembly. This bill will end the Right to Buy, Preserved Right to Buy and Right to Acquire in Wales. The Welsh Housing Quality Standard is still a challenge for some councils. The United Kingdom government is ‘reforming’ welfare and this has implications in Wales. In this context, do you think that a working knowledge of social housing finance in Wales would put you and your colleagues in a position of advantage? This seminar considers social housing finance in the local authority and housing association sectors including the issues that are common to both and the issues that are specific to one side of the sector. It is fully up to date with all developments. Many people have already benefitted from this seminar. Whether you are in a Housing Association, Local Authority or the Welsh Government; whether you are a Housing Manager, Tenant Representative, Elected Member, Board Member or even a member of the Housing Finance Team, you could also benefit from attending our seminar. What are the recent policy developments in Welsh Social Housing? How can Housing Associations and Councils invest in social housing? The session is accompanied by a very useful 100-page book that is designed for reference after the session entitled: ‘All You Want to know about Welsh Social Housing Finance 2017’. Delegates will gain an overview of Welsh Social Housing Finance and will keep up to date with developments. Delegates will have an understanding of how Housing Association Finance is determined and the issues involved. 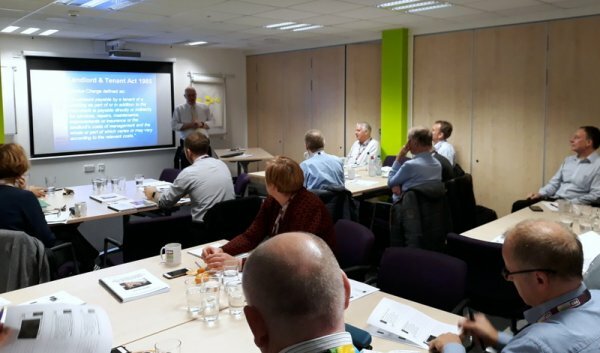 Whether you are a Housing Manager, Tenant Representative, Board Member or even a member of the Housing Finance Team, you could benefit from attending our course.